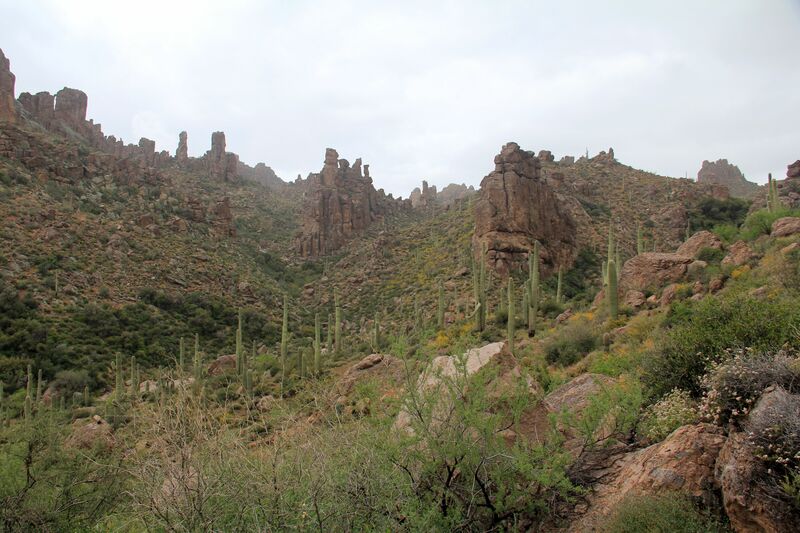 Over the decade that I’ve been hiking the Superstitions I’ve heard sketchy rumors of a monster saguaro somewhere “out there” from the Peralta trailhead. Earlier this season some of us in conversation with a ranger confirmed it was on Dutchman beyond the end of Bluff Spring trail. 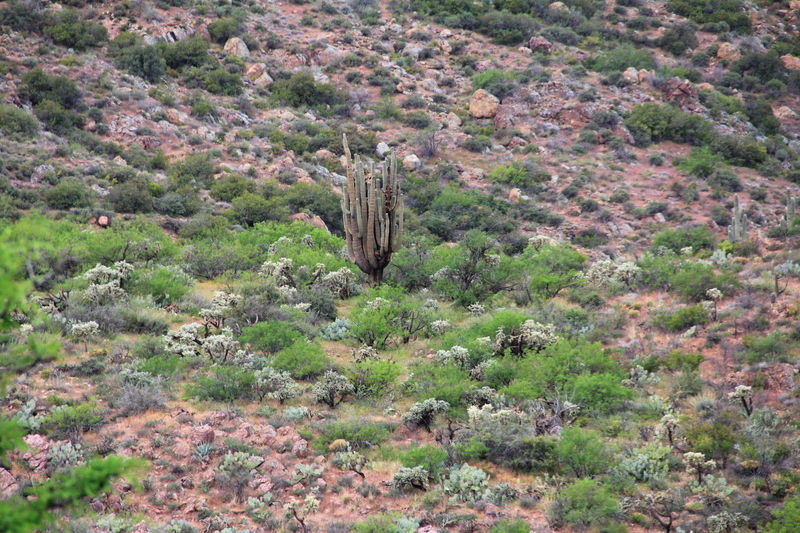 Also we were informed that the old cactus was in decline, so we’d better go soon if we wanted to see it while it still stood. Tuesday of this week Dana, Debbie, and I set out to find the oldtimer and pay our respects. It had rained overnight, and the morning started cool and overcast. Perfect weather for the early morning climb up cardiac hill, which would have been a real killer most warm/sunny April mornings. Overall the trip turned out to be 10 miles, with just under 1,700 feet of aggregate elevation gain. We were thankful for the cool conditions. 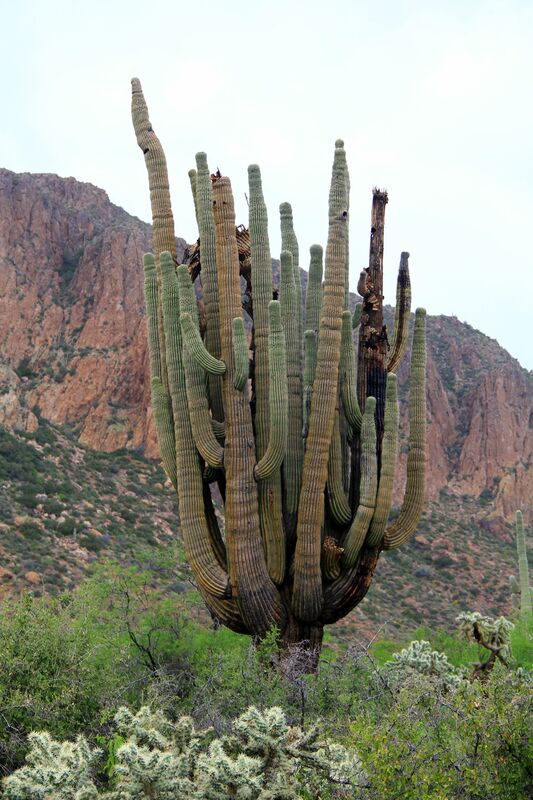 To anyone who wants to see this big cactus (advertised to have 57 arms), the route is all the way out Bluff Spring trail to the junction with Dutchman, then north on Dutchman 1.5 miles. 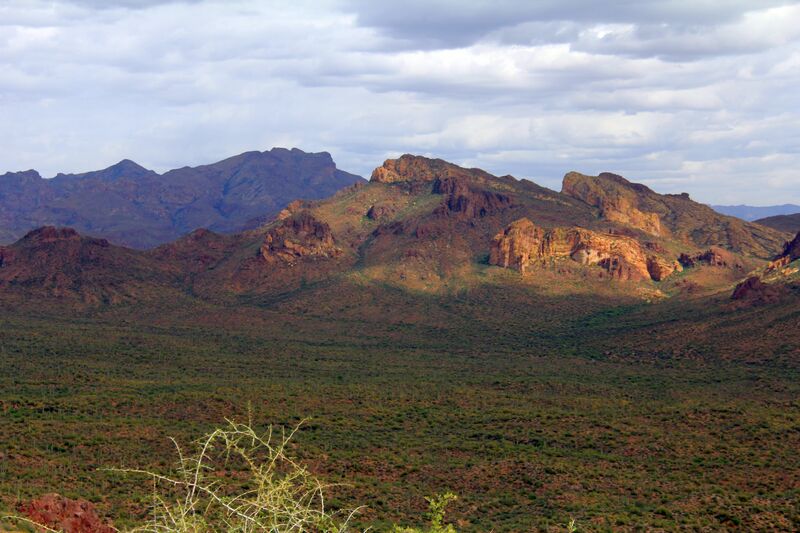 As you pass northwestward over a low saddle you’ll see the fabled cactus ahead in the valley. But I’m getting ahead of myself. The fun is in getting there! 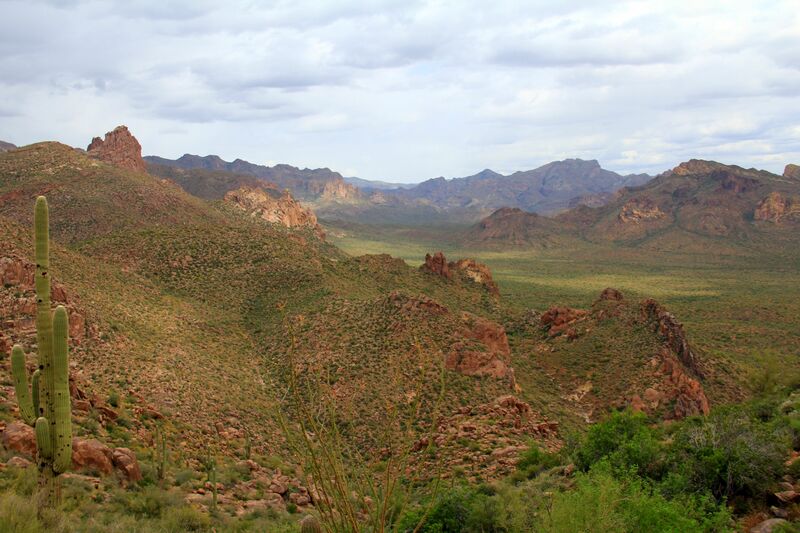 The hike out Bluff Spring trail gives top down views of three major Superstition drainages, first Barkley Basin, then Peralta Canyon, and at the crest, Barks Canyon. Because of leftover clouds from the night before, these scenes are quite different than our usual sunlit cobalt colored skies. Here is Barkley Basin looking east from Cardiac Hill. 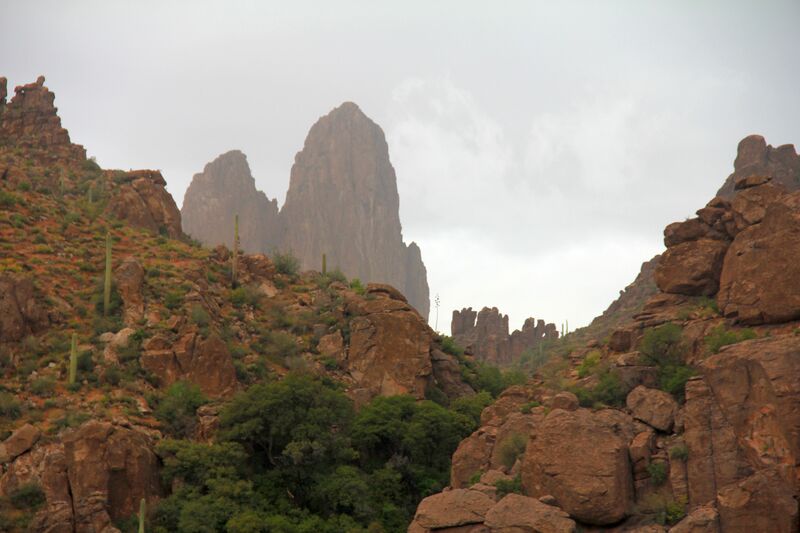 For perspective reference, the formation in the left of the photo is Miners Needle. Higher on the trail you get this view looking up Peralta Canyon toward Fremont Pass. 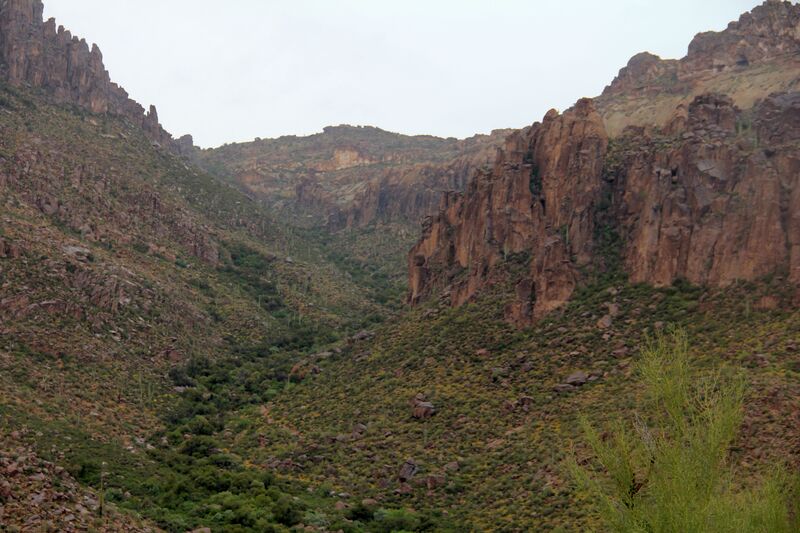 You can pick out segments of trail 102 among the vegetation in the center of the canyon. 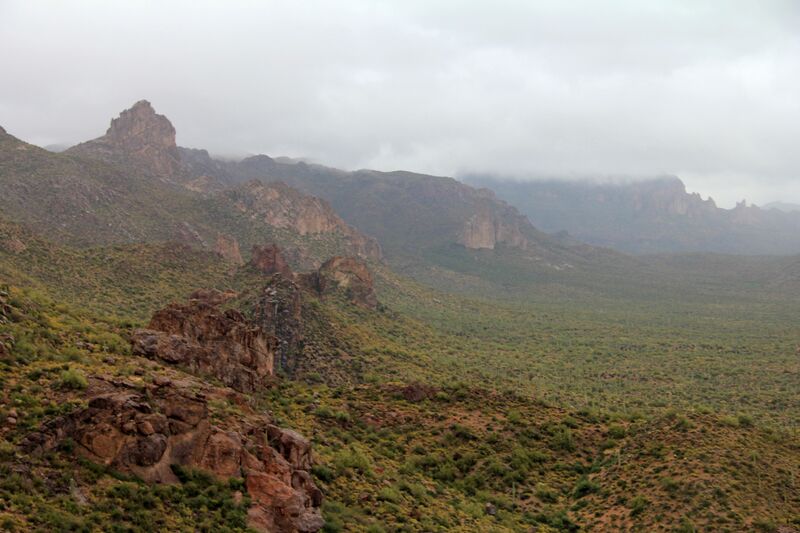 At the crest of Bluff Spring trail, the panorama down into Barks Canyon and a bonus peek at Weavers Needle distant in the morning mist. 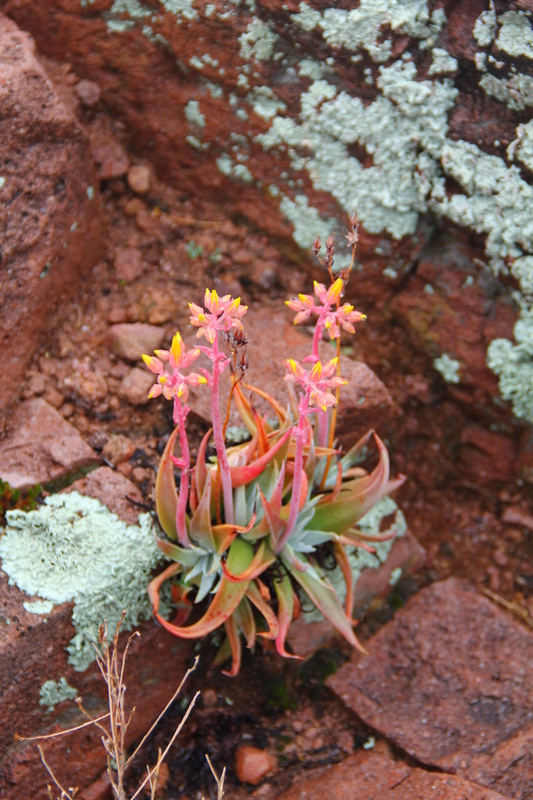 Recent hikes have been dominated by the springtime plants and flowers, and this hike was no exception. 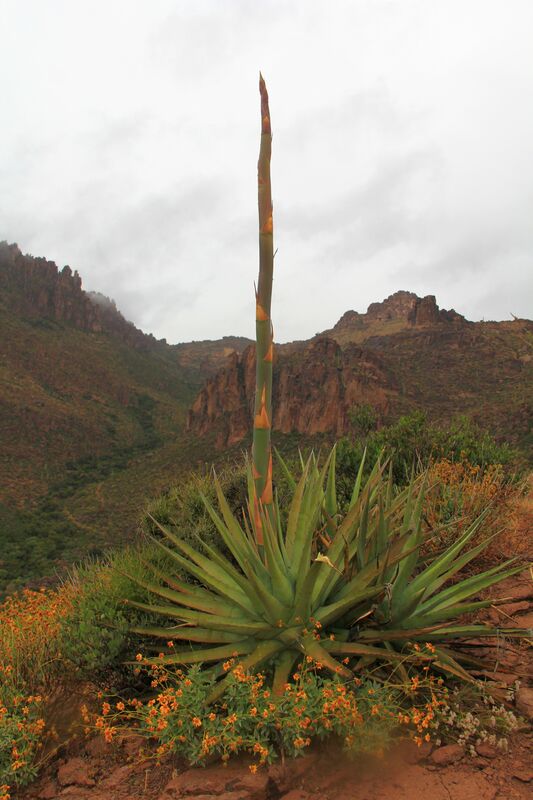 Here an agave (“century plant”) launches its’ flower/seed spike toward the sky, expending all the energy it has nurtured over many years, in one last burst of life, passing its’ seed to hopefully start the next generation. 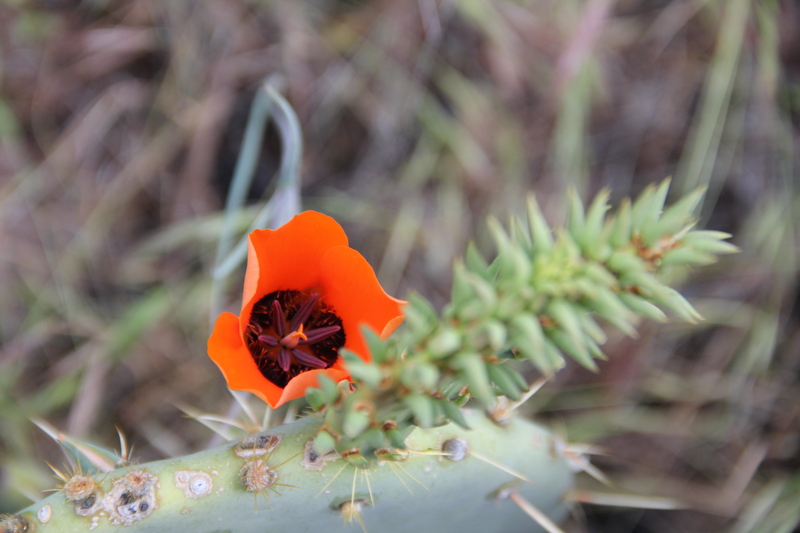 Hedgehogs are starting to pop open their beautiful pink blossoms, and we found a few examples of desert mariposa, such as this beauty. Once or twice a season we come across some unexplained curiosity on the trail. 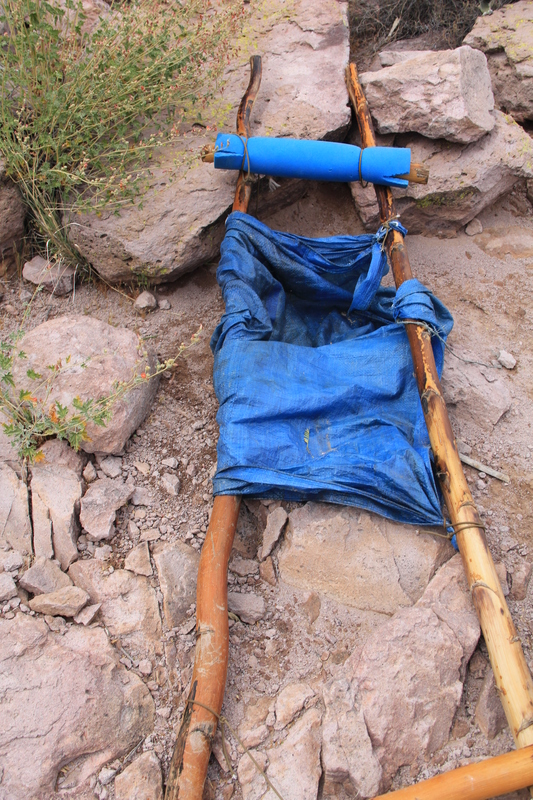 Near the crest of Bluff Spring trail we came across this makeshift stretcher which had been cobbled together from an old tarp, boot laces, and seed stalks from an agave plant. Our best guess is that some hikers or backpackers transported an injured companion to this high exposed spot for a helicopter extraction. Either that, or they got tired of carrying him and dumped him over a cliff into the nearby canyon, then abandoned the stretcher here. OK, back to the old cactus. Here a couple of shots closeup. As you can see, it really does appear on its’ “last legs”. 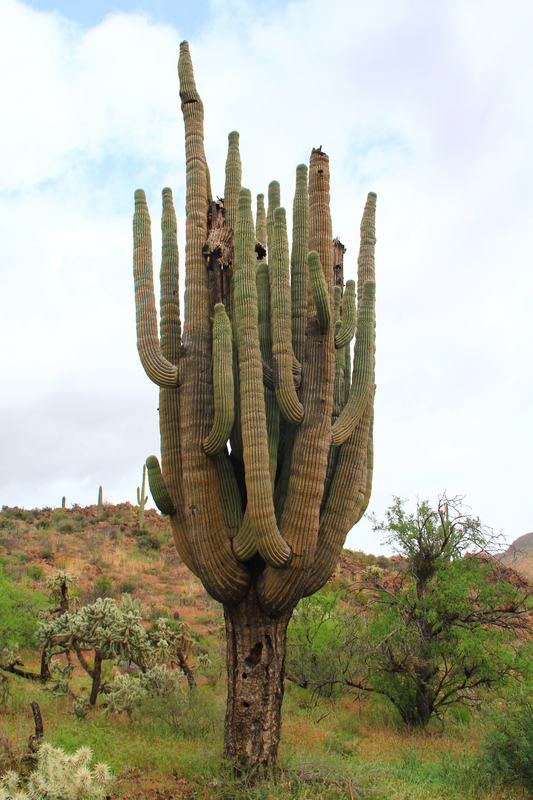 Because saguaro don’t have “rings” like trees it isn’t possible to accurately determine their age, but estimates are 200-300 years as the usual span of a normal specimen. Given it’s unusual size, I think we can put this one on the high end of that scale, meaning it probably stood here back when Washington was fighting the Redcoats. As we retraced our route back to the trailhead the sky became more broken clouds with patches of sunlight. Barkley Basin was quite a different sight than our morning view a few hours earlier. See you all next hiking season. Thanks for the memories. Oohhhh Cobalt skies! thanks for putting the effort of finding the right words to describe your photos and what we see. KEEP WRITING! Thanks, Teach, for your support! See you in the fall. Good one – allmost made it there two years ago. My knee gave out. Maby this winter. Hans: Your descriptions and pictures are wonderful. 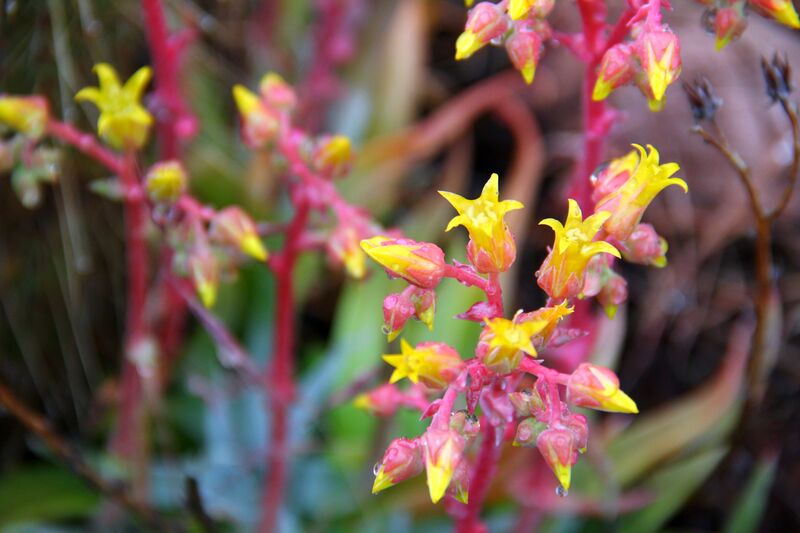 Also your continued efforts to seek out trails and sights to share is greatly appreciated. Thanks for the great pictures and blog. You’ve outdone yourself this time. We are looking forward to hiking with you next season! I really enjoy your stories….hope to meet and thank you next year….